Griffin is 5 months old! People let me tell you 'bout my best friend..
No worries, I'm still here! January 1, 2013. Not really a super important day, but one that marks a special anniversary. It will be the 4th anniversary of this little ol' blog! When I started this blog 4 years ago I was a newlywed and I'm pretty sure my mom was my only reader. (Hey, Mom!) It started out as just a way to document our lives since we lived in a different state than both of our families. My gosh, we've come along way in these 4 years. I love that I have this blog as a way to look back at our lives & I have met some fantastic people on this little corner of the internet. I had grand plans to take a walk down memory lane and highlight the past 4 years, but a very sick baby boy that has required lots of snuggles kind of stole my time. I'm totally okay with that, by the way. So, instead, I'll highlight 2012. It was a great year. We started off the year sharing the details on Baby Dos.What a sweet baby he is! Look how little G looked--SO much has changed! 2. Grayson, my mom, and I took a roadtrip to Baton Rouge in January to visit family. G had so much fun with his cousins & running around my aunt Joy's huge yard. I'm so glad we got to take him! 3. 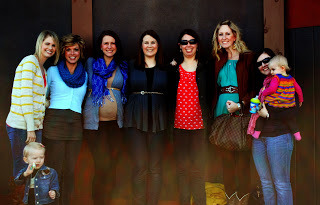 In February I finally got to meet some of my favorite internet ladies when they came to town for Blissdom! I even got to have a slumber party with my sister from another mister, Jen! It was so much fun. I wish all of these girls lived in Nashville...and I'm happy that some do! 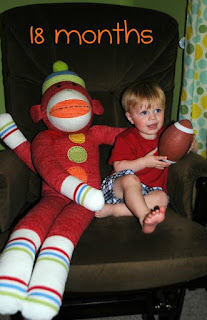 That very same weekend my sweet Grayson broke his right arm. Womp, womp, womp. Such is the life of a mama with a very active & fearless little boy! 4. In March we found out that Baby Dos was a BOY! It took us a little while, but we decided to name him Griffin Andrew. That was the moment that baby #2 felt real! 5. Our big boy, G, hit the 18 month mark in March! I remember thinking he was such a big boy in this picture & now he looks so young! 6. I became a Kelly's Kids rep! Shameless plug? SURE, why not?! It's been fun & of course I have loved buying matching outfits for the boys. Feel free to shop my website! 7. We spent Easter in Alabama with Ben's family & Grayson had such a great time! 8. In May we went to Cape San Blas, Florida with my parents for a week. I was so glad we went to the beach before I got huge. Grayson had such a great time and is already asking when we are going back. He was such a cute beach bum! 9. In May I also celebrated being at my new "job" for a full year. What a blessing it is. I'm so thankful that I get to spend my days with these boys! 10. We moved G into his big boy room in June! 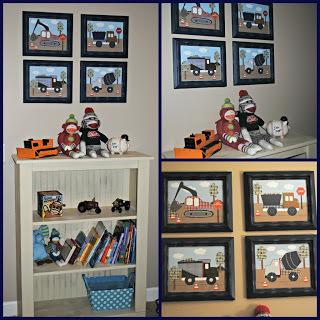 We let Griffin keep the nursery and Grayson a room he would love...full of trucks! He is still in this room but now he's in a double bed. It's truly a big boy room now! 11. I turned 27 almost one month before Griffin's arrival. 26 was a great year & 27 is proving to be the same! I celebrated with a day at the zoo with my boys (in 105 degree weather. ick!) & dinner at Wild Wing. 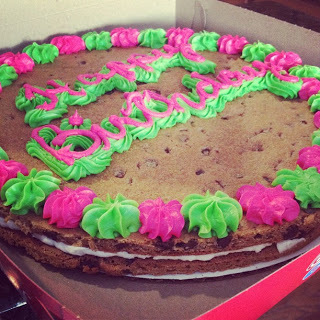 We topped it off with a Double Doozie cake of course...my favorite tradition! 12. 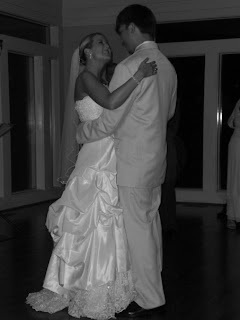 Ben and I celebrated 4 years of marriage on July 19th! 13. One of my favorite memories was spending the week before Griffin arrived doing all of G's favorite things. We had such a great week & I'm glad I got to spoil him a little before Griffin arrived. 14. This little boy stole our hearts on July 30th. 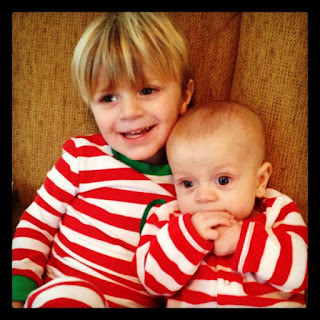 I didn't know I could love two little boys like I love my boys! We were so excited to finally meet, hold, & love on baby Griffin! 15. 3 weeks into this whole "mom of 2" thing, it finally felt real. And by real, I mean crazy. Ha! 16. 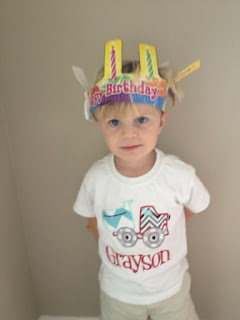 Grayson turned TWO in September! We had a fun little truck party for him & he, of course, loved it. 17. In the beginning of October our neighbors and great friends brought their little boy, Eli, home from Africa! 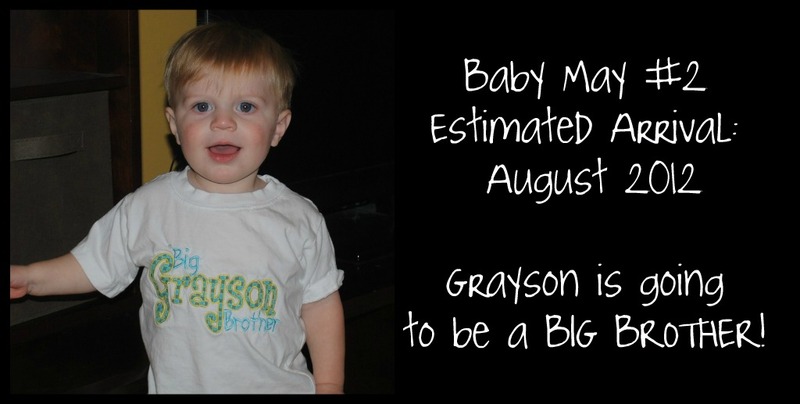 Watching Grayson, Gray, & Eli play now is still surreal..I can't believe this precious boy is actually here for good! 18. We spent Halloween trick-or-treating with our friends. G was a fireman (shocking, I know.) and Griff was his dalmatian! They were the cutest trick-or-treaters I have ever seen. For real. 19. I spent Thanksgiving being thankful of the sweet baby that joined our family this year. We found out about him the day after Thanksgiving last year! 20. 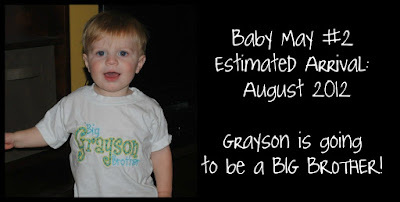 One of my absolute favorite things about 2012 has been watching Grayson become a big brother. He acted like an old pro from the beginning & I love watching our boys interact. They are so sweet! 21. Christmas as a family of 4. Hasn't even been blogged about yet, but it was a great one! More about that later:) and no, NO baby announcement was made this year! Whew! That was a whirlwind. This was definitely a crazy & busy year, but I would not have it any other way! We can't wait to see what 2013 brings! 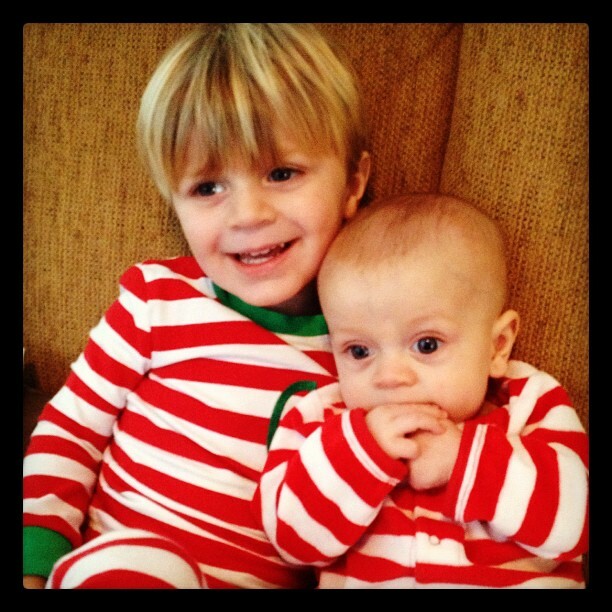 These boys are just the cutest brothers! Love watching them both grow!